Providing you the best range of soya peptone, kosher soy peptone and casein peptone with effective & timely delivery. SUBONEYO's Soy Peptone is GMO-Free, Animal-Free is a specially designed product. Soy peptone is a papaic digest of defatted soybean meal. It is used in culture media for the cultivation of a wide variety of microorganisms including bacteria and fungi. It is an excellent source of vitamins and carbohydrates. The raw material to produce this soy peptone is guaranteed to be GMO-Free and Animal-Free (eliminates TSE/BSE issues). It is recommended for use in microbiological, tissue culture and fermentation media. Suboneyo is the leading Largest Manufacturer in India for Kosher Soy Peptone range of products deriving from Soybean, Milk Protein Casein, Corn etc. These are processed by using hi-tech facilities are available in various types. Proteins are the basic building blocks of living cells. Proteins are formed by the sequence of amino acids. The amino acids are organic substances consisting of an asymmetric carbon to which are bonded an amino group (-NH2), a carboxylic group (-COOH) two characteristics radicals of each amino acid (R R"). Soya Peptone: We are the largest manufacturer of Soy Peptone in India .Our customers can avail best quality Soya Peptone that is widely demanded by the customers in the domestic and global market. Soya peptone is formed by the action of enzyme of papaya on soybean meal followed by the processes of purification and spray drying. Being highly nutritious material and soluble in water, this product promotes the growth of bacteria, fungi and fastidious organisms.Soy Peptone is available in off white free flowing powder form and form clear solution, when diluted in water. Kosher Soy Peptone: SUBNEYO is the one of the prominent manufacturers and exporters of high quality range of Kosher Soy Peptone. We use GMO-free ingredients in the production of Kosher Soy Peptone. Kosher Soy Peptone offered by us is a rich source of Peptides, vitamins and carbohydrates. Thus, this is widely are widely used as nutrient for various Kosher applications culture media for the cultivation of a wide variety of microorganisms including bacteria and fungi. Furthermore, it is recommended for use in microbiological, tissue culture and fermentation media. 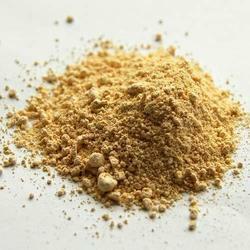 Yeast Extract: Yeast Extract Powder is a water soluble extract of selected autolyzed enzyme digested yeast cells. It is rich in vitamins, especially B complexes, amino acids and other growth factors. 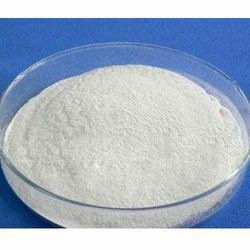 It is used in many microbiological culture media formulations as an excellent growth source. Yeasts extract is considered a principal enrichment factor in culture media in light of its high content of carbohydrates, vitamins, growth factors and amino acids. It promotes growth of a wide variety of microorganisms, including yeasts and molds.